Many people lack motivation to start an exercise program or just don’t know where to begin. If you are serious about reaching your fitness goals, you need a plan. I have designed this questionnaire below to assist you in meeting your aspirations. Example: My goal is to build muscle. Your goal should be crystal clear. If your goal is to lose weight, also specify how many pounds you want to lose. 2. Action you will take to meet that goal. Example: In order to build muscle I will start weight-training. If you want to gain strength, list which exercises you plan to do or what classes you plan to take. 3. How often will you need to do this to meet your goal? Example: I will weight train four times a week. You want to specify out how frequently you will exercise. Running once a month isn’t going to get you towards your objective. 4. For what period of time? Example: I will weight-train for 1 hour straight with minimal breaks. Some people go to the gym. They warm-up on the treadmill for five minutes, walk around the gym, do a few machines and leave. If you decide ahead of time how much time you will exercise and what exercises you will do, you will more likely get what you want accomplished. Example: I will start my weight training regimen Wednesday of this week. Since the person didn’t set a start date, s/he kept procrastinating although the plan was always to start tomorrow. 6. What time will I work on my goal? Example: I will start my workout at 7:00am. If you don’t decide beforehand what time you will need to get going, you might never start the workout. If you try to get everything else done before your exercises, it may not be until the evening is almost over, and by then it may be too late or you may be too tired to exercise. I exercise first thing in the morning so it’s done and out of the way. 7. What are the benefits of reaching your goal? Example: The benefits of weight training are increased strength and stability, weight-loss, toning and improved body image. Don’t forget to list the benefits of meeting your goals. If there are no benefits, then what’s going to motivate you to start a challenge? 8. What are the consequences of not working towards your goal? Example: If I don’t work out with weights I will have muscle wasting, possible osteoporosis, and injuries. Make a list of the negatives of doing nothing. Sometimes the hard reality is what gets a person to action. 9. What are the challenges to meeting your goal? Example: In order to build muscle I will need to spend more time exercising. The challenge will be finding the time. Making changes is hard. Write down what may impede your progress so you can find a solution. 10. How are you going to remedy that challenge? Example: I’m going to wake up earlier, go to bed earlier, and cut back on work hours. If you don’t have a solution to what’s stopping you from doing what you need to do, then you won’t meet your goals. Sometimes you have to give something up to get what you want. 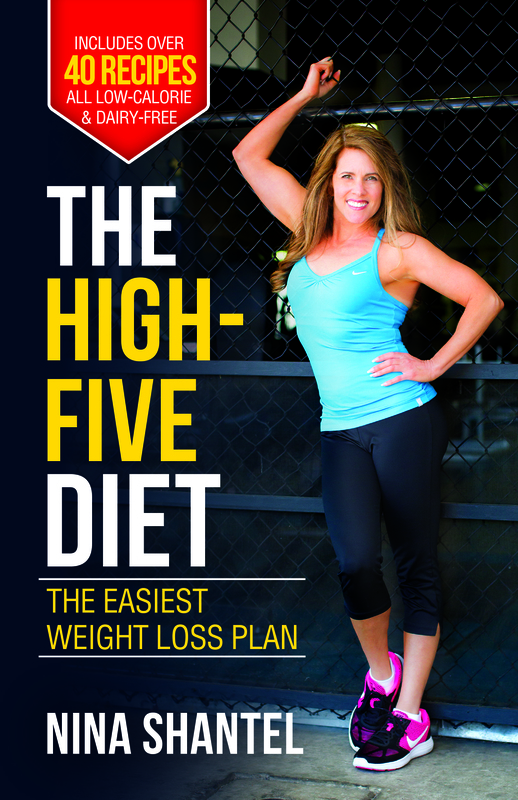 If you’re serious about losing excess body-fat, order The High-Five Diet today at http://www.thehighfivediet.com and print out this questionnaire, write down your responses to the questions. You now have a complete system for success. photo: That’s me doing a handstand, and something I’ve been working on for quite some time. To obtain this goal, I took yoga classes, and practiced headstands against a wall, built up my shoulders with weight-training, and finally went for it!